Monster of a Mobile ! Phone is bang on ! Phone is really to good. And much easy to use. It's Vooc Charging is too amazing. What I loved about this phone is its charging speed. Mere 5 minutes of charging can give about 2 hours usage limit. 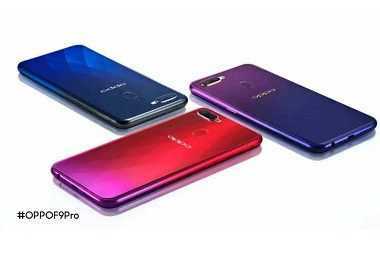 Latest price of Oppo F9 Pro 64 GB With 6 GB RAM in India was fetched online from Flipkart, Amazon, Snapdeal, Shopclues and Tata Cliq. 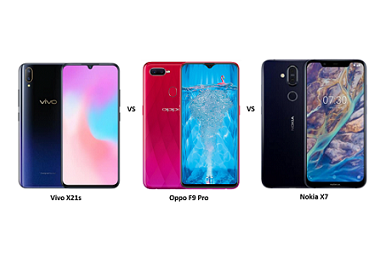 "Vivo X21s vs Oppo F9 Pro vs Nokia X7: Price, Features and Specifications Compared"
"Oppo Adds 128GB Variant to its F9 Pro Smartphone in India"
"Oppo F9 Pro Set to Launch in India on 21 August: Media Invites Rolled Out"
Technology never stops surprising us. Here’s a phone, that is sure to capture your attention. 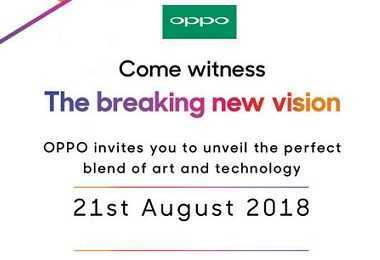 Launched in August 2018, Oppo F9 Pro boasts of stylish looks and impressive technology. With the new 2.0 GHz powerful octa-core MediaTek Helio P60 processor, the performance is increased by 70% compared to the previous generation processors, and the power savings are boosted by 12%. The model also offers a 6GB RAM and 128GB variant. Oppo F9 Pro is available in 3 gradient colours namely Starry Purple, Sunrise Red and Twilight Blue. The dual nano SIM phone is sleek and weighs 168 grams and has a double microphone active noise suppression that promises impressive audio clarity. The phone also has an overheat protection feature, and a unique face-unlock mechanism along with a rear-mounted fingerprint sensor. This phone is an excellent choice for media enthusiasts and selfie lovers. 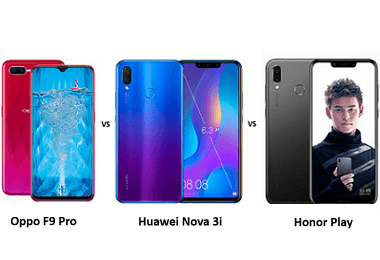 The phone has a plastic frame which is a compromise compared to the looks. The 25MP wide angle sensor front camera with HDR technology captures perfect pictures. The 16MP and 2MP dual rear cameras provide excellent intensity, detail, and sharpness to the images. The portrait mode adds depth to the portrait shoots. As Oppo is famous for its selfie cameras, this phone lives up to the expectations with AI beauty technology and captures natural beauty in all its glory. It will give you the perfect pictures you want to flaunt in social media. F9 Pro has 64GB internal storage and up to 256GB expandable memory with a dedicated Micro SD card slot. There may be an occasional lag while running heavy games like PUBG, which is cleared intrinsically. The non-removable Li-Po 3500mAH battery with Oppo’s VOOC fast charging promises 2-hour talk for a 5-minute charge. It’s a tempting technology that is supported by over 500 patents. The smart battery management system closes the inactive apps and saves power based on your usage pattern. The 16 cm full HD waterdrop display is a multi-touch sensitive touchscreen of 2340x1080 pixels. With 16.7 million vibrant colours, anything can look beautiful. 90.8% screen providing an edge to edge screen layout adds to the appeal of the phone. The Corning’s protective glass is tough and ensures durability. Connectivity includes 3G, 4G, Wi-Fi, GPS, Micro-USB, Bluetooth, and USB OTG. Various sensors including compass, accelerometer, proximity sensor and ambient light sensor are also available. The smartphone runs ColorOS 5.2, based on Android Oreo version 8.1.0 which offers improved battery life, better performance, increased security measures, smooth multitasking features and much more. The most recent Android Pie OS can be upgraded automatically with the system upgrade or from the Oppo AppStore as and when available.